Employment today is said to resemble a ‘w’ – heavy on the two ends with little in between. After the economic crash of 2008, many Baby Boomers decided to hold off on retiring since their nest egg went down with the stock market. Many companies are faced with a large pool of young, inexperienced workers who aren’t ready to take the reins and with a large pool of older, experienced workers who are ready to retire as soon as they can do so comfortable. This event put off the changing of the guard and, today, many executives are worried about change management – the transition process from the old guard to the new. One of the largest impediments to creating a succession plan is the retention of Generation Y and Millennial talent. After all, how can an organization make any plan that involves employees who leave before the plan is fully implemented? Generation Y, more so than the generations before it, are interested in work-life balance. They do not want to work long hours nor spend weekends at work. Rather, they want a fulfilling personal life, which means time spent with family and friends. The younger generation also wants to be more involved in the decision making process, preferring flatter organizations. Companies will have to adapt to this new generation and many will no doubt struggle to get these young workers over the three-year hump. The most dangerous thing any company can do is to assume that today’s young workers will eventually settle in and do things the good old-fashioned way because they won’t. So how, then, can an organization adapt to this new, younger workforce who are essential to the future success of the company? Organizations need to establish the conditions for success from day one of employment by getting people up to speed as quick as possible. Accelerating the learning and contributions builds satisfaction and commitment. 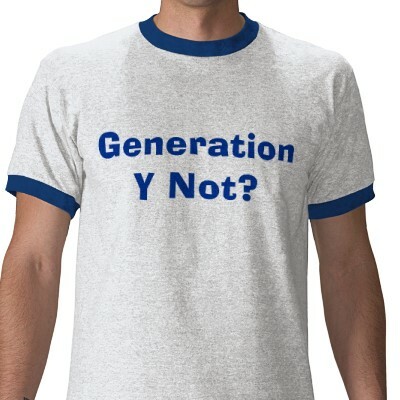 Generation Y employees are eager to learn new things and be challenged. They also need to know that what they are doing in the organization matter. New Employee Orientation is a great way to accomplish this. It will be important to match employees with mentors who will have time to devote to listening to them and give career advice. Therefore, these mentors should not have no more than 2-3 apprentices under their wing. These mentors will have to be trained in both how to be a good mentor and in what young workers are looking for. In order to make this program sustainable, it is also important to train the apprentices to some day be mentors themselves. Young workers remain loyal as long as the work, the workplace, and the management stimulate and engage them. This is tied to number 1, but takes it a bit further. Managers of young employees need to be held accountable for the development and retention of these workers. These managers will need to closely monitor their employee’s engagement levels and step in before a potential departure. Similar to mentors, it will be important for these managers to have special training on how to manage, lead, and develop this younger workforce. Managers who cannot develop and retain talent should be weeded out. Simply promoting the most senior person or highest performer to fill a management vacancy will not work. The cost of high turnover can be astronomically high. Surveys show that the relationship with a supervisor or manager ranks very high on reasons why a worker will leave. It may be necessary to allow younger workers to advance quicker to provide more challenging work. Another way to do this is to involve these young workers in special projects and have them interact with other members of the organization. All of these methods will need to be endorsed by the manager as well as senior management. Giving a young worker a special project without freeing up the time for him or her to work on it is a sure way to lose an employee. Employees put into this situation end up feeling resentful and asking them to work longer hours is not a solution. Recall that these employees value their work-life balance. Keep in mind that this means positions will have to have some flexibility to allow employees to partake in new, challenging work. A job description, just like a brand new car, is old the minute you drive it off the dealership, or in this case, finish writing it. When young employees do leave the organization, as many will end up doing in search of self discovery, it is important they leave on friendly terms. Keep in touch with these former employees, remind them of the company’s ongoing interest in them, enable them to return easily, and celebrate their homecoming. Young employees today are looking to find their place in the world and will end up having multiple jobs. While a standard rule is to hold a job for at least a year, Generation Y will be bucking this trend; especially in their 20s to 30s where they are desperately trying to find out what they are good at and what they enjoy. This is the complete opposite of the Baby Boomers who ended up joining a company and staying there until retirement. When young employees leave, make sure a thorough exit interview is done to gain important feedback on how your company can adjust itself to retain young talent in the future. Former employees who become employees again bring with them all of their outside experience and are already familiar with the culture and operations of the company. When I left my first job, I spoke with the President of the bank and he warmly told me, “If you ever need a job again, you can come back. The bank will still be here.” While I doubt I will choose to work for them again, I left the job on a positive note and, to this day, maintain contacts there. How is any of this different from retaining talent in general? It really is not any different at all. However, younger employees who haven’t been through the grinder of corporate work life tend to insist on this more than older employees do. If any company wants to ensure they have a pipeline of talent in place for the future, it is more important than ever before to learn how to retain younger workers. Here is a quick list from “Workforce Crisis: How to Beat the Coming Shortage of Skill and Talent” by Ken Dychtwald, Tamara J. Erickson, and Robert Morison. 1. Poll new hires about their incorporation experiences. You’ll learn from them and simultaneously satisfy some of their desire to be heard. 2. Focus on day one, so the new hire feels not just welcome to the organization, but equipped to perform. 3. Involve senior executives in the incorporation process in meaningful ways – not just giving welcome speeches, but meeting, listening, teaching, and learning. 4. Get in the field – instead of limiting incorporation to the classroom – to give new hires realistic experiences and opportunities to make a contribution. 5. Talk with younger workers regularly, both individually and in focus groups. Don’t rely exclusively on formal surveys. Ask them to evaluate the organization. 6. Make employee retention a real process, with an owner, a design, performance measures, and improvement efforts. 7. Make line managers responsible for retention, and measure and reward them accordingly. Provide them with training and support to be genuinely hands-on. 8. Measure employee engagement, mobility, and learning. Metrics will be useful even though not decimal-point precise. Set and pursue improvement targets. 9. Make exit interviews work for you and the employee. Track what you learn, and make the interview the first step of rerecruiting a valued employee. 10. Evaluate the prospects of each departed employee’s returning. How much would you want the employee back, what are the circumstances of departure, and how likely is a return? Then personalize your later outreach to the best prospects. 11. Form an alumni association, or at minimum a communications channel with ex-employees. Track their whereabouts and, for highly valued ones, career progress. 12. Ask and welcome people back. Leave the door open, and periodically invite past employees to walk through. Then celebrate their return.